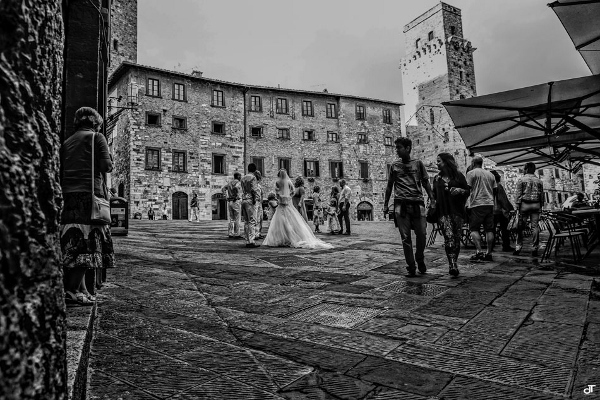 The Town Hall in San Gimignano is in the center of the famous medieval village. 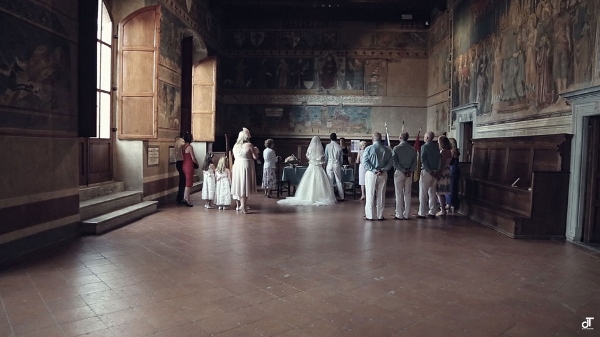 This is one of the most stunning locations for a civil wedding, a large, perfectly restored frescoed hall, in warm honey tones, and with deep sienna colored terracotta floors. 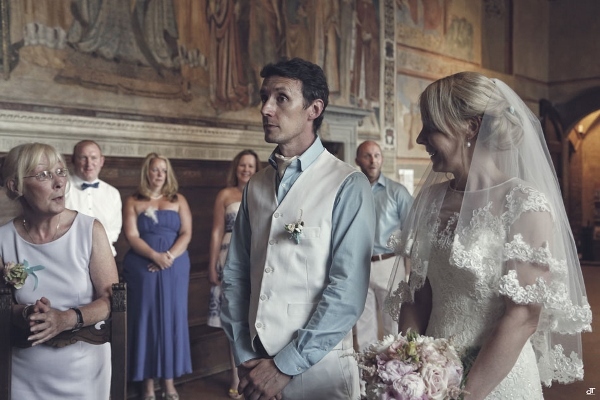 The hall is perfect for a small group, or up to 80 or more guests. 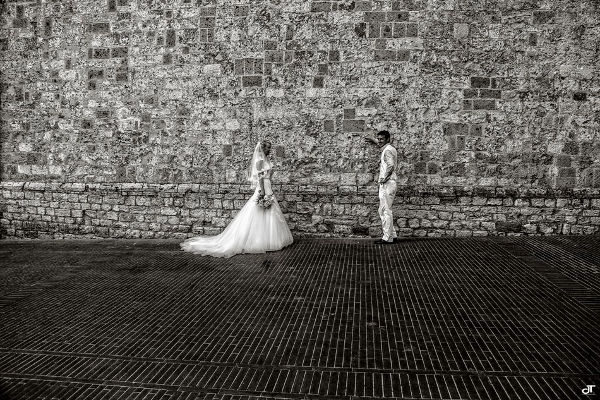 From 2014 civil ceremonies are allowed in the outdoor garden court with view as well Catholic weddings are also possible in a large Church within the walled town – and as the countryside is scattered with some of the nearby villas, this is also an area rich in possibilities for symbolic, villa blessings. The town is still closed to traffic, and in the winter months, only the locals inhabit the sleepy back streets.